I don’t actually have a Jewish grandmother, but my friend Joey does. Joey heard me waxing poetic about the health benefits of liver at dinner one night and he was nice enough to share his grandmother’s version of this classic Jewish recipe with me. Grandma Ginsberg’s version is mostly traditional, but I love that she throws a sprinkling of caraway seeds in the mix. After I browned the livers and caramelized the onions in the traditional manner, I couldn’t help myself from deglazing the pan with dry vermouth. This step wasn’t part of Grammy’s original recipe, and I hope she can forgive me. Chicken liver is my favorite variety of liver. It has a milder flavor than other types of liver that I find very comforting. I developed a taste for it as a kid when I was anemic and had to eat it regularly, and now that it’s back on menus everywhere, I find I can rarely say no. Boil the eggs to your liking and allow to cool (this step can be done in advance, or alternatively while your cooked livers cool). Trim the livers of any strange bits, rinse them under cold water, and place on paper towels to dry, patting them of any excess moisture. Heat a wide sauté pan over medium heat and melt your fat of choice in the pan. When the fat is hot, season your livers lightly with salt and pepper and place them into the pan, an inch or so apart from each other. Allow them to brown nicely on the first side, undisturbed, for 2 or 3 minutes. 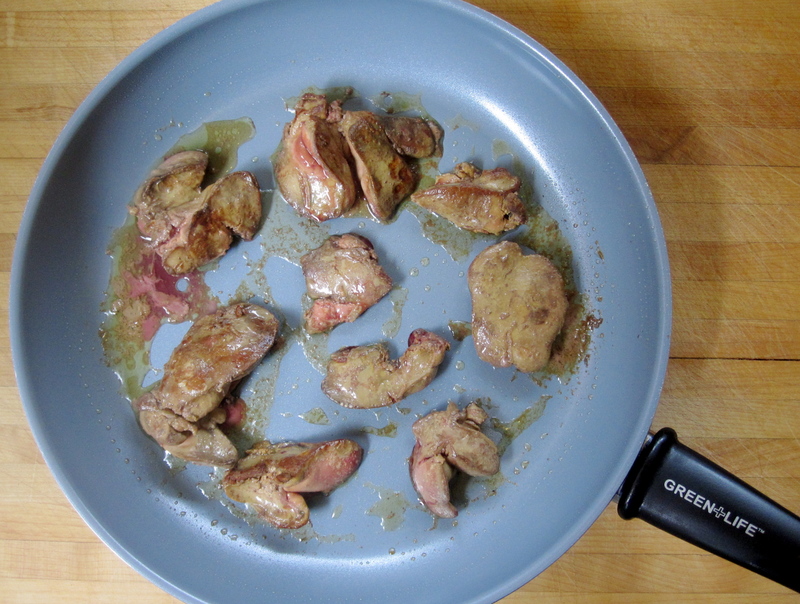 Once they have some good color, turn them over to brown on the other side (*Tip: turn the smaller, thinner livers first and allow the thicker ones to cook a bit longer). Brown the livers on the second side, but don’t overcook them. A few minutes should be plenty, and if they are still a little pink don’t worry – they’ll be added back to the pan shortly. Remove the livers and set aside on a plate. Add the onions to the pan, season generously with salt and pepper, and cook, stirring often, until nice and brown, at least 5 minutes. When the onions are caramelized, return the livers and any of their liquid to the pan and deglaze with the vermouth, stirring to dredge up any nice bits that have stuck to the bottom of the pan. Allow the vermouth to cook off for a few minutes, stirring the livers and onions together. When the pan is nearly dry, transfer the liver and onions to a medium bowl and allow to cool on the counter for 15 minutes. Then transfer the bowl to the fridge to cool fully, at least one hour (this is your second chance to hard boil and cool your eggs). When the liver and eggs are cool, it’s time to chop them. I chopped them by hand, separately, and then mixed them together. If you prefer to use a food processor, simply chop the eggs and liver into more manageable pieces (half an inch or so), and them pulse them in the food processor until just combined. 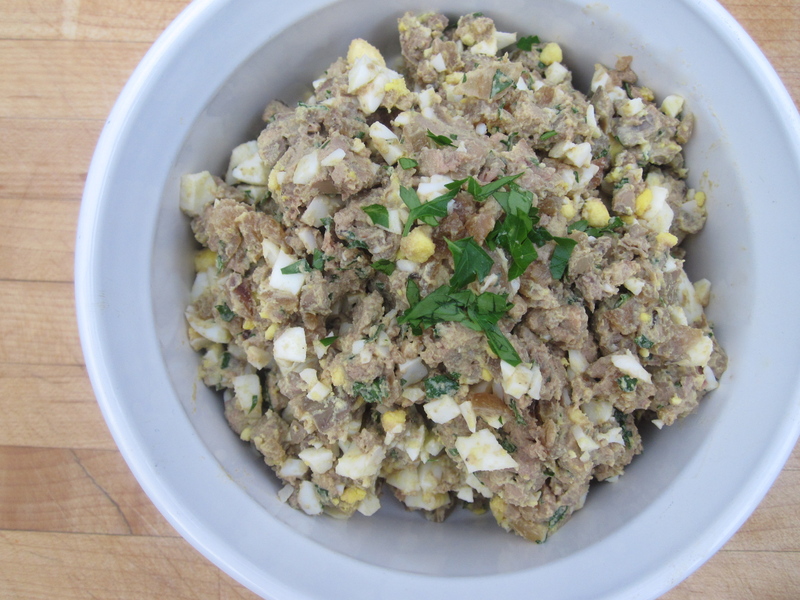 Return your chopped liver, onions, and eggs to the bowl and add your toasted caraway seeds, lemon juice, and parsley, and toss gently to combine. Season to taste with more salt and pepper (and more lemon juice, if desired). 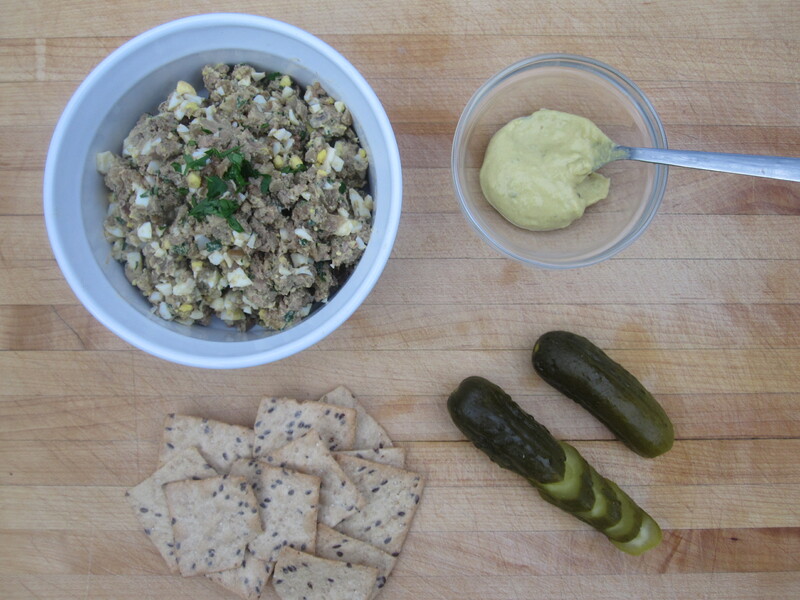 Serve the chopped liver on crackers, bread, or with vegetables. We particularly liked each bite to include a little mustard, a pickled onion or a slice of a Bubbie’s Kosher Dill. This entry was posted in gluten free, paleo, perfect health diet, poultry and tagged chicken, chopped, gluten free, jewish, liver, paleo, perfect health diet, poultry. Bookmark the permalink.